Due to the impressive international expansion, the “Trophées de l’Evénement” have been renamed HEAVENT AWARDS. 120 cases were submitted in total, among them 32 international. 31 French and 11 international cases have been nominated. The international nominations are: The Netherlands (Brandbase), Belgium (Balthazar Events and Verhulst Events), Germany (3C Creative Communication Concepts GmbH and Onliveline office for concept & staging), Italy (Eventually, Ideal Comunicazione and Next SPA), Morocco (Mosaik Events) and Norway (JCP Nordic, 2 cases). And 31 nominations for French agencies. 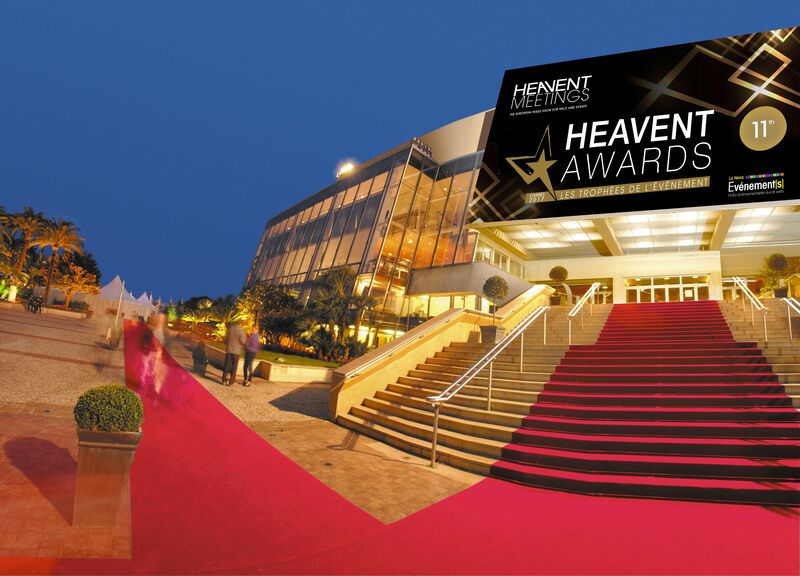 The organizer We You Group expects an audience of 1.000 event professionals for the ceremony 20 April in the Palais des Festivals de Cannes and 4.000 participants during the fair Heavent Meetings. The nominees, top hosted buyers and exhibitors come apart France, from UK, Germany, Austria, Belgium, Italy, Spain, Portugal, the Netherlands, Norway, Denmark, Sweden, Switzerland, Finland, Ukraine, Russia, Ireland, Morocco, USA and Czech Republic.